Hurricane Florence made landfall early Friday on North Carolina's coast, bringing extreme winds and massive storm surges. 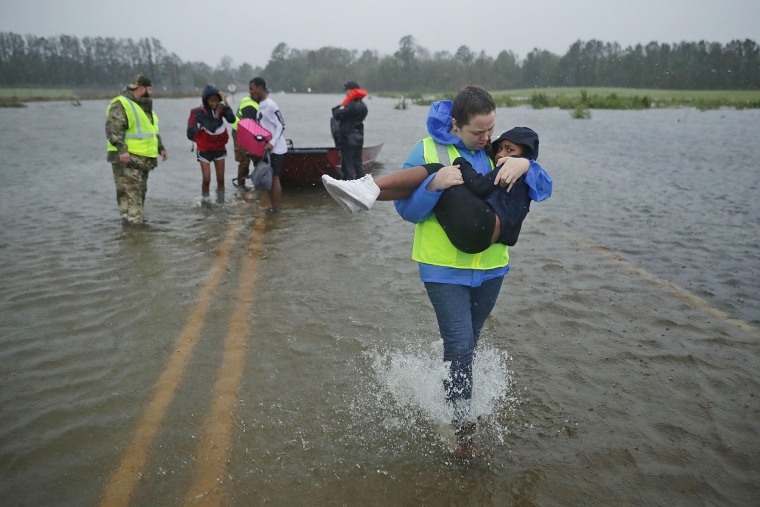 Residents step out of a high water vehicle after being evacuated by the police when their neighborhood began to flood as Florence continues to dump heavy rain in Fayetteville, North Carolina, on Sept. 16, 2018. 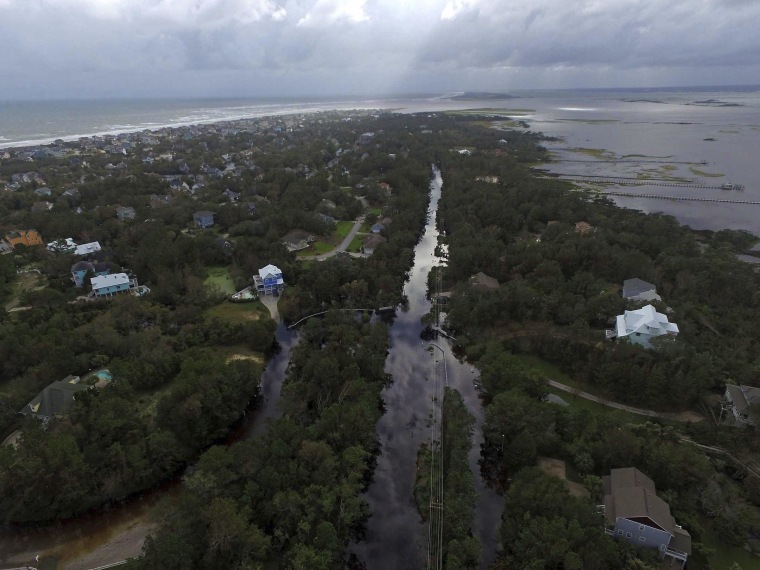 Coast Guard Road leading to the south end of Emerald Isle is seen after Hurricane Florence hit Emerald Isle, North Carolina. 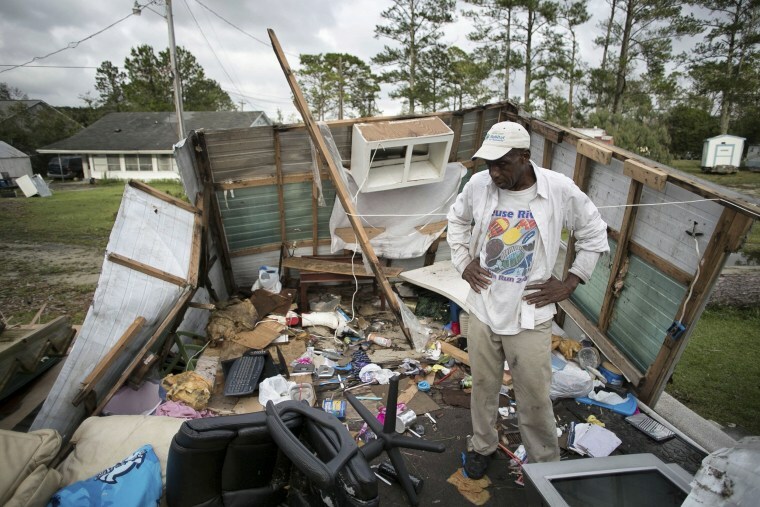 Tony Thompson looks at damage at his mobile home in Newport, North Carolina. Thompson, who lost his home and most of his possessions, said he feels lucky to be alive. 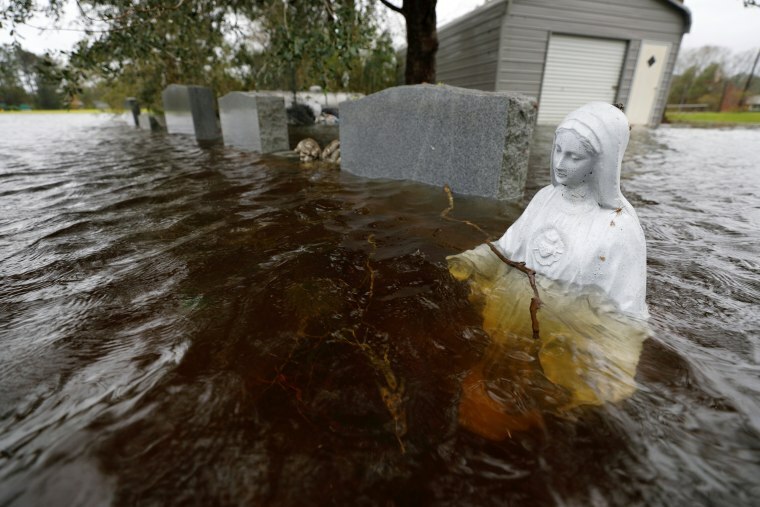 A statuette is partially submerged in rising flood waters inundating a cemetery in Leland, North Carolina. 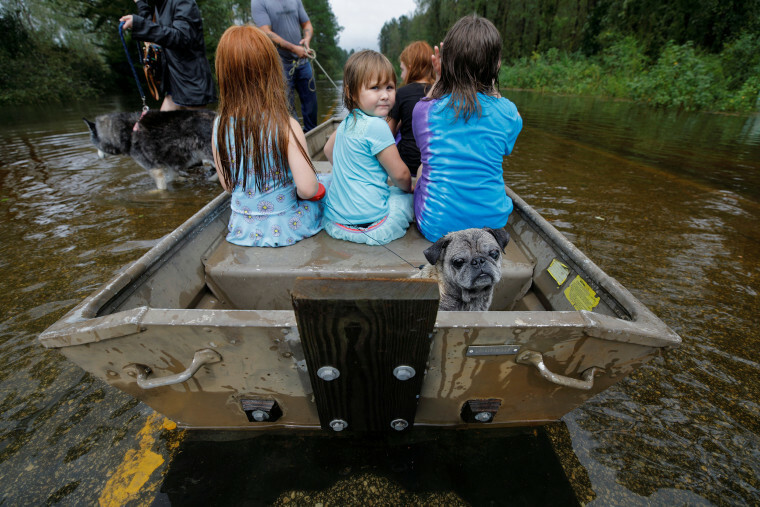 Iva Williamson, 4 years old, peers behind her as she joins neighbors and pets in fleeing rising flood waters in Leland, North Carolina. 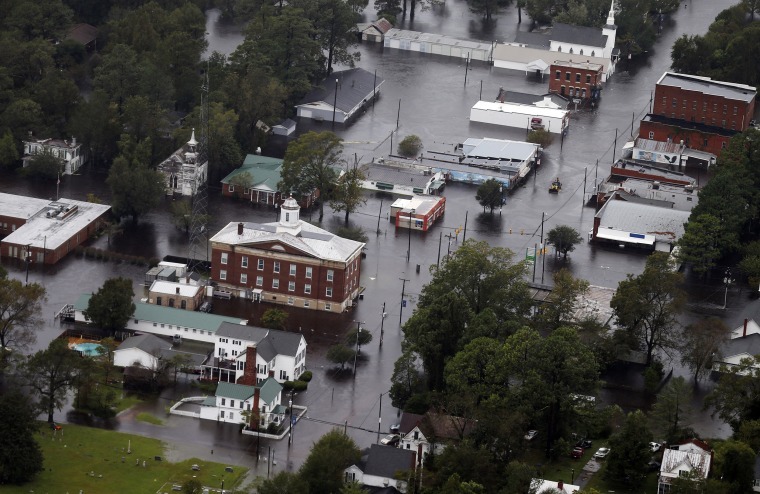 Floodwaters inundate the town of Trenton, North Carolina. 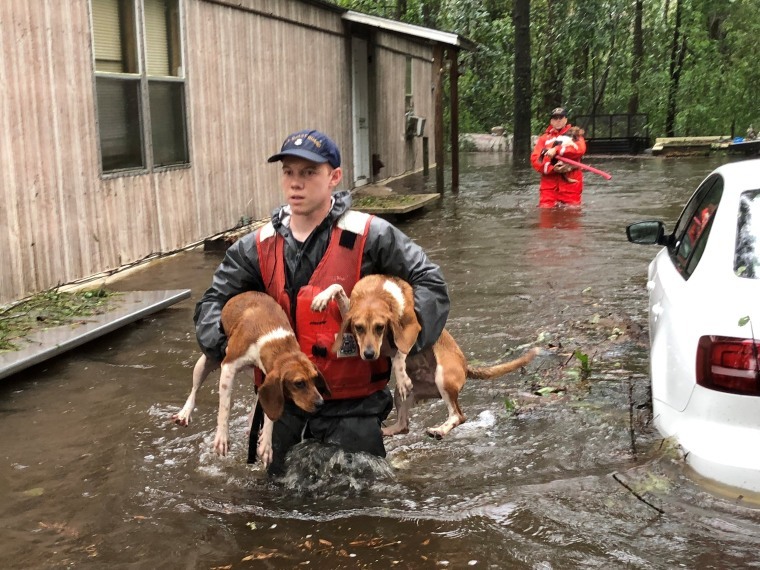 Members of Coast Guard Shallow-Water Response Boat Team 3 help pets stranded by floodwater near Riegelwood, North Carolina. 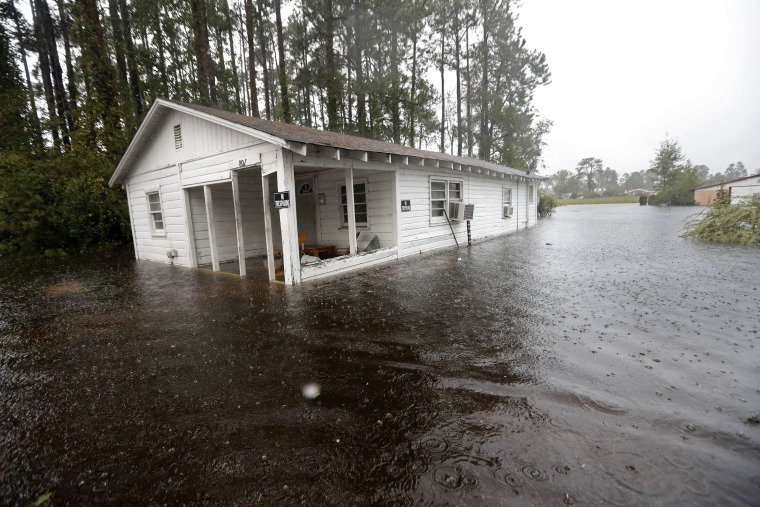 A home is seen in floodwaters in Marion, South Carolina. 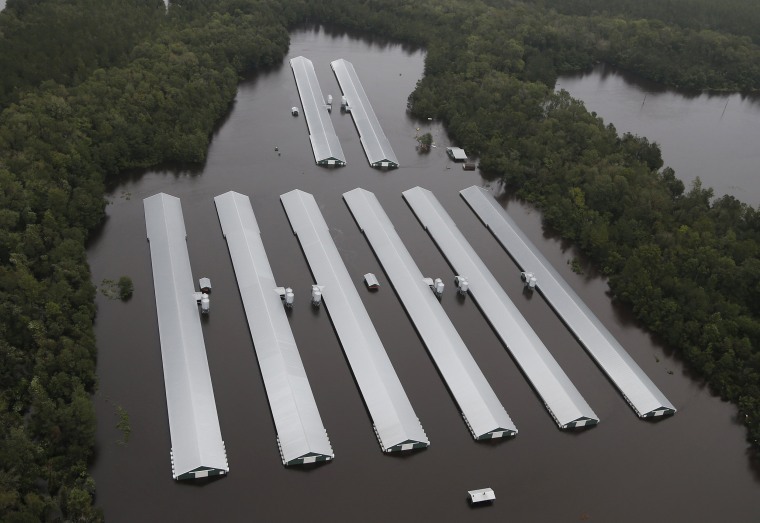 Chicken farm buildings are inundated with floodwater near Trenton, North Carolina. 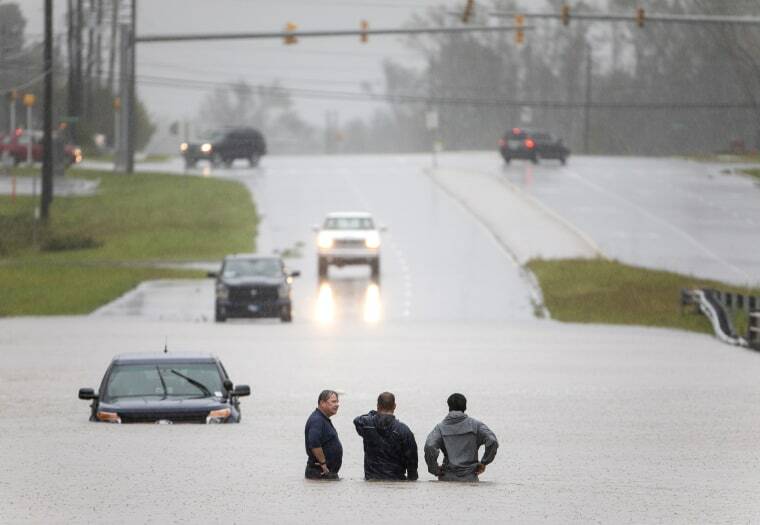 Bystanders help a stranded motorist after waters flooded his car along Route 17 near Holly Ridge, North Carolina, on Sept. 15. 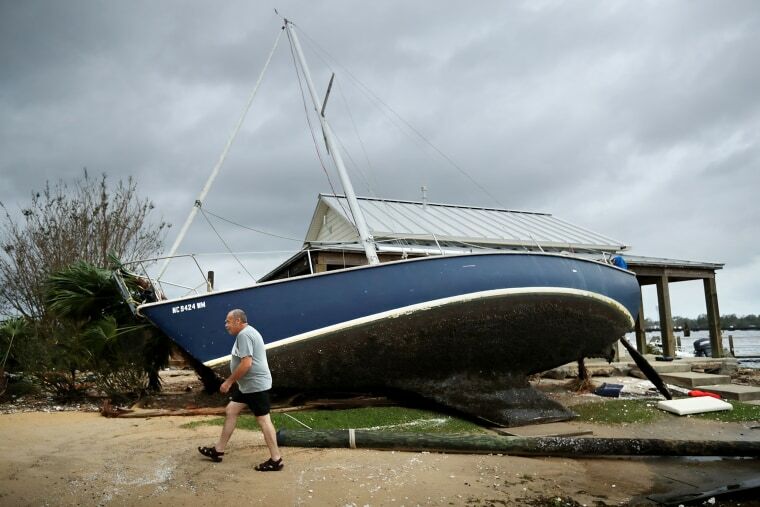 A sail boat lifted by the storm surge leans against a building at the destroyed Bridgepointe Marina a day after Hurricane Florence made landfall in New Bern, North Carolina. 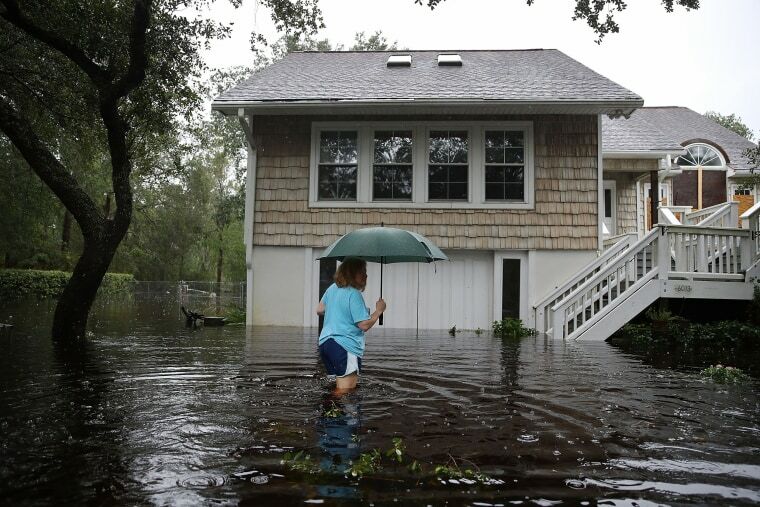 Kim Adams makes her way to her home that is surrounded by floodwaters in Southport, North Carolina. 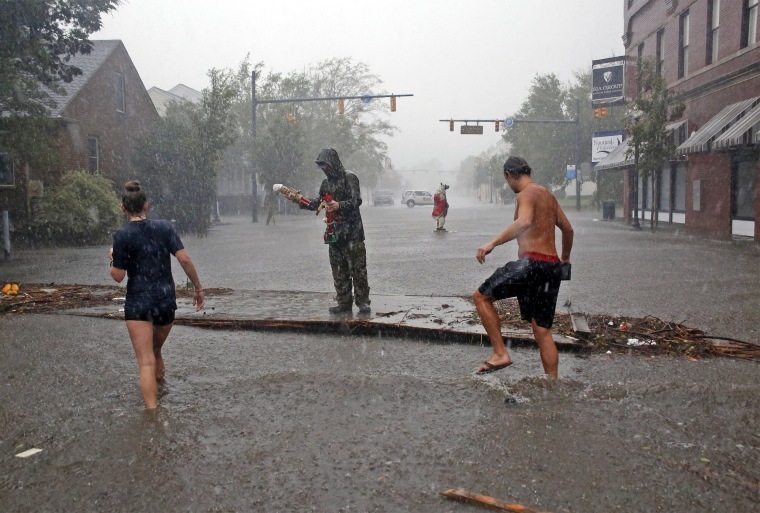 Two people in a canoe paddle through a flooded street north of New Bern, North Carolina. 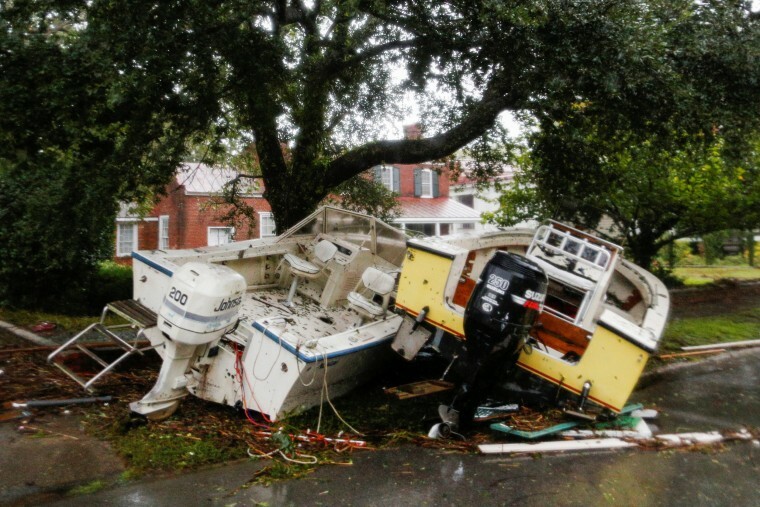 Boats pushed away from the dock are seen on a street during the passing of Hurricane Florence in the town of New Bern, North Carolina on Sept. 14. 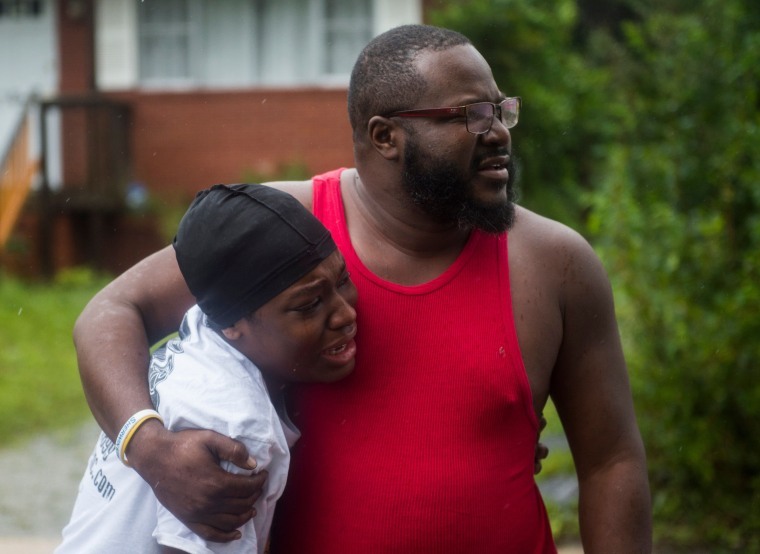 A father and daughter learn that friends were injured after a tree fell on a house during landfall of Hurricane Florence, in Wilmington, North Carolina. 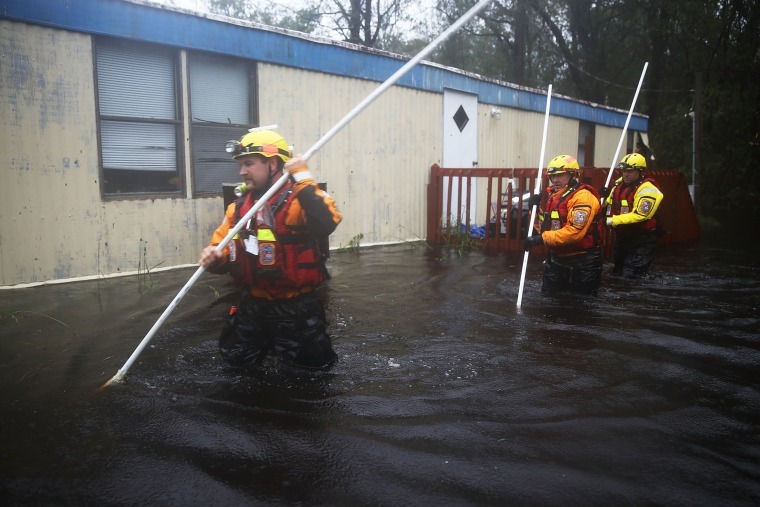 Members of the Boone County Fire Rescue team check for occupants in a home surrounded by floodwaters in Bolivia, North Carolina. 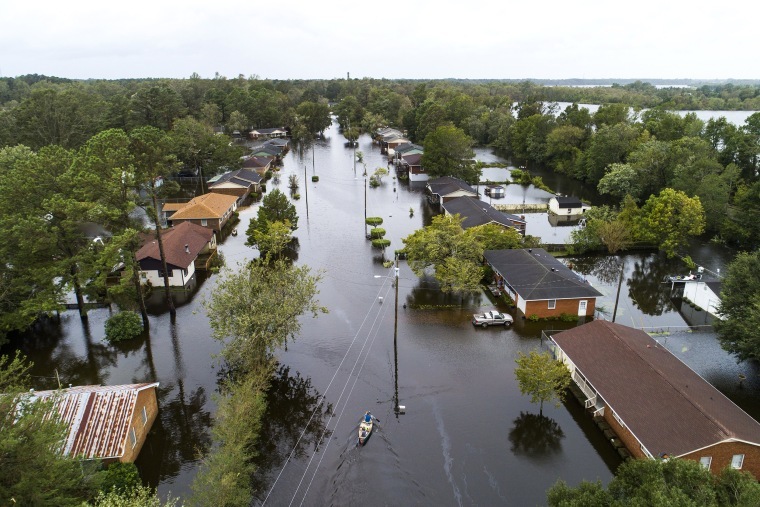 Homes are flooded after a storm surge from Hurricane Florence in New Bern, North Carolina. 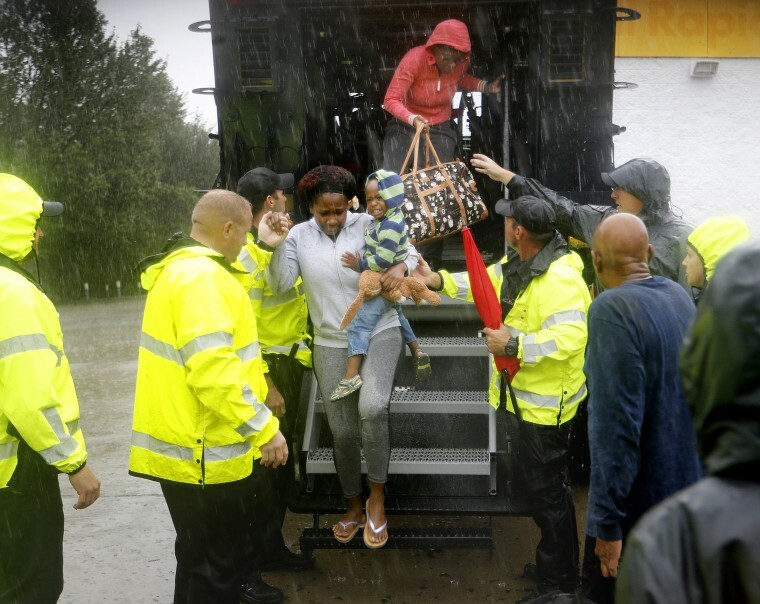 Volunteers from the Civilian Crisis Response Team help rescue three children from their flooded home in James City, North Carolina. Volunteers from the Civilian Crisis Response Team help a stranded family in James City. People survey the damage caused by Hurricane Florence on Front Street in downtown New Bern, North Carolina. 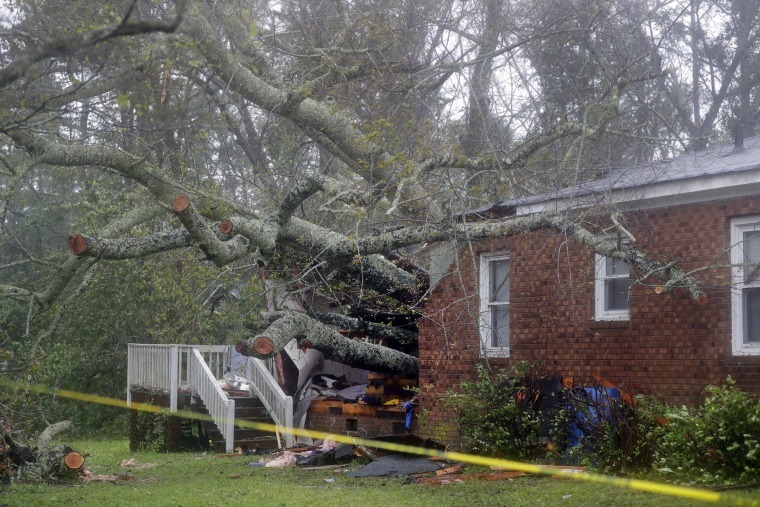 A tree crashed into home in Wilmington, North Carolina, killing a woman and her baby. 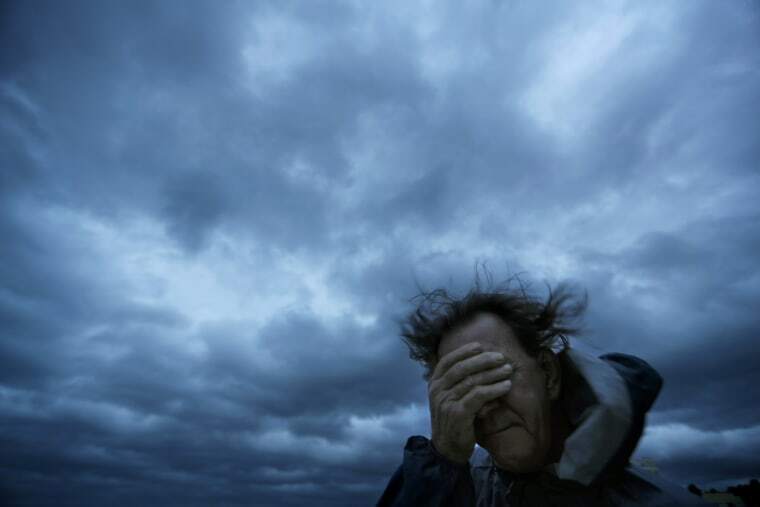 Wilmington was hit with wind gusts of over 100 mph on Friday morning. 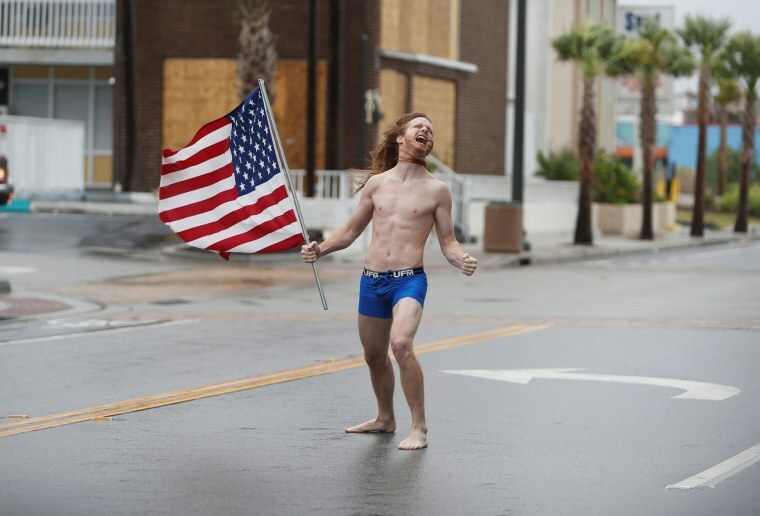 Lane Pittman of Jacksonville, Florida, stands in the wind and rain along Ocean Boulevard during the arrival of Hurricane Florence in Myrtle Beach, South Carolina. 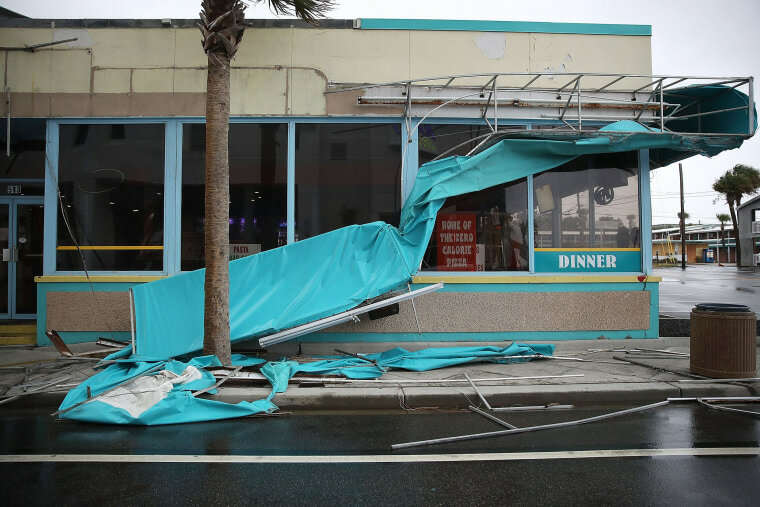 A damaged awning in Myrtle Beach. A boat dock and boardwalk are destroyed by powerful wind and waves in Atlantic Beach, North Carolina, on Sept. 13. Michael Nelson floats in a boat made from a metal tub and fishing floats after the Neuse River flooded his street in New Bern. Waves slam the Oceana Pier & Pier House Restaurant in Atlantic Beach, North Carolina. 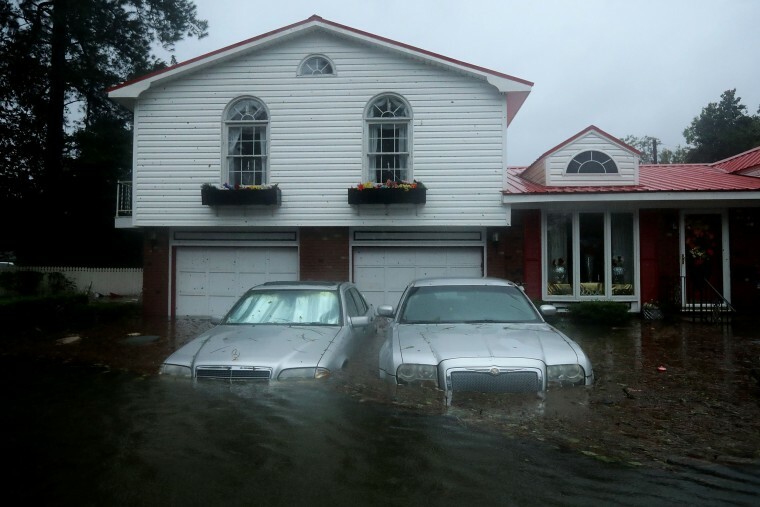 Water from Neuse River starts flooding houses in New Bern. Residents navigate flooded streets in New Bern.